Mainland actor Hu Ge completed the Hong Kong run of HAMLET. Two nights ago a celebration was held. 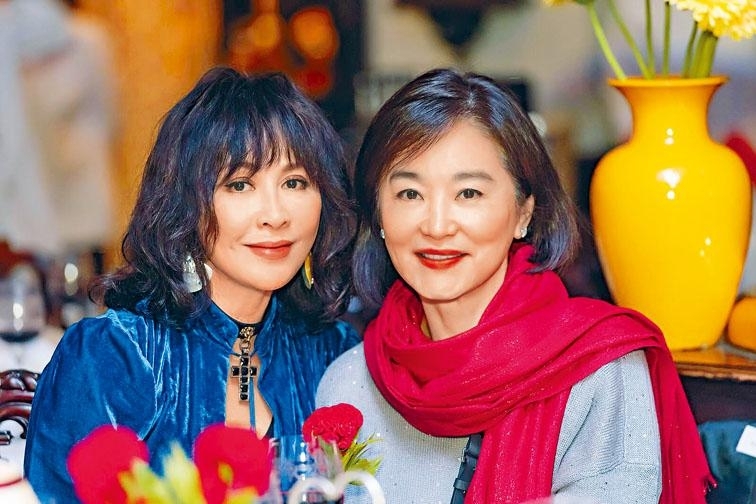 Brigitte Lin (Lam Ching Ha), Carina Lau Ka Ling, Rosamund Kwan Chi Lam, Kenny Bee (Chung Chun To) attended. Lau Ka Ling revealed that she would like to work behind the scenes and plan for an all Asian hunk version of OCEAN'S ELEVEN. The idea came from Tony Leung Chiu Wai and Takuya Kimura's photo in Japan earlier. Lau King Ling as her husband Leung Chiu Wai's manager would like to find some jobs that would excite him soon. "He didn't feel any of the choices are good enough, in other words I am not working hard enough." She reveals that she would like to work behind the scenes. "I hope I can gather a very strong team for an Asian version of OCEAN'S ELEVEN with Asia's coolest actors. Wai Jai earlier in Japan ran into Takuya Kimura and took a photo together, which inspired this idea of mine. Kimura of course is on the list, as well as Korean, Taiwan and Mainland actors. I already have a list in mind, but first I have to find someone to write the script before deciding." She stressed that she would take a role in the film. The idea would be all male, with at most a top beauty. "I am a beauty too, but off camera." She said that behind the scene she would start as a producer but she would not give up on camera performance. She said, "As long as the audience is willing to watch me, I will keep working. Because this has been my career for over 30 years, I won't give it up so easily." Speaking of Chow Yun Fat's on set injury, she said, "I don't have Fat Gor's number, I have to ask Fat Soh to find him. I heard about it from the news, it's probably a light injury. I wish Fat Gor a speedy recovery. I hope that he would be more careful from now on and not to risk his life like this." 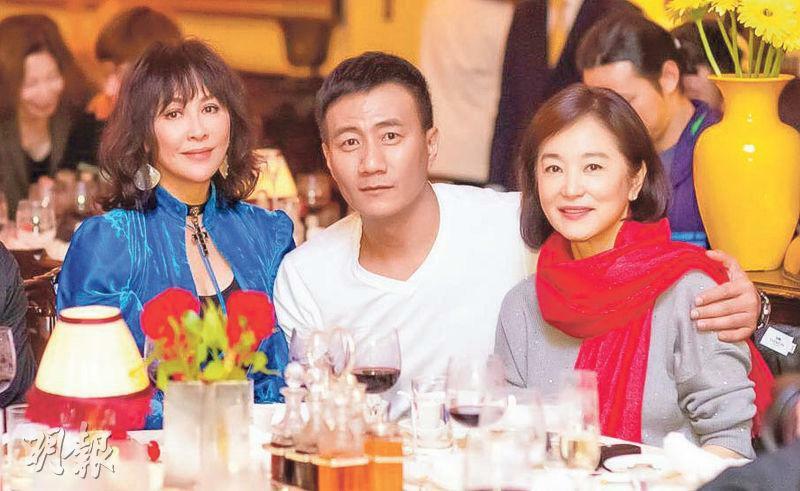 Rosamund Kwan Chi Lam praised Hu Ge. With his drama background the stage came naturally for him. Would she like to work with him on the stage? She said that she did not have the confidence. "A play has many lins and also requires a lot of time to rehearse. Earlier a movie was offered to me but I feel I didn't have the confidence, not to mention a play? So in order to work with Hu Ge, I am afraid I can only do some wining and dining." Speaking of her friend Elaine Jin (Kam Yin Ling)'s cervical cancer, Chi Chi said that she knew long ago. "I know that she is having a very tough time. She still has five more chemo treatments, which are really tough to get past. Everyone needs to encourage her. I know that Ah So (So Sze Wong) is playing mahjong with her. I don't know how to play but I can chat with her. She said that she was very upset that she could not play with my dog for six month. She would properly rest and recover. I believe she will be able to tough it out. She has always been positive." She also said that due to her mother's influence she constantly had physicals. When she found out about what happened to Kam Yin Ling she immediately had more tests.